Inspired by the natural world I strive to make pieces that evoke the excitement I experience when I discover pattern, shapes, colours and form that occurs within nature or sometimes those that have been transformed by mans impact on the environment. 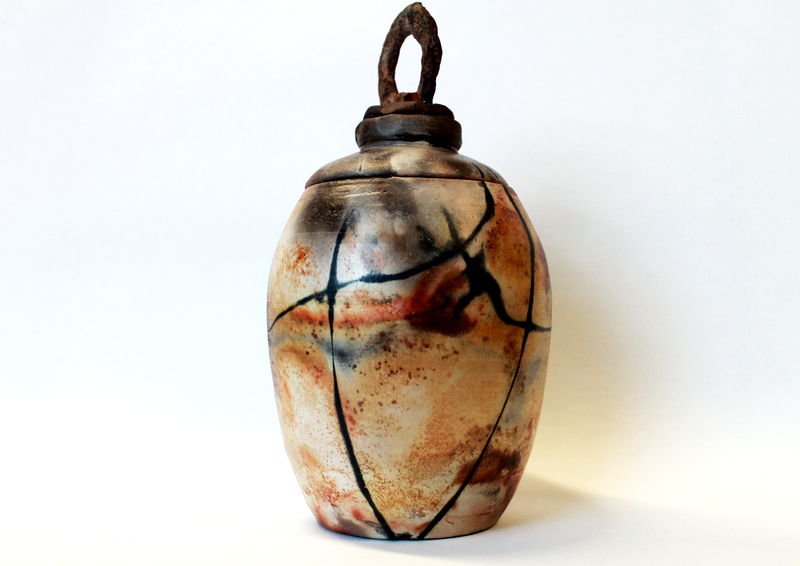 I love the random, uncontrolled results from unusual firing techniques including Indian Smoke and Raku. Many of my pieces reflect my love of rocks, particularly those surrounding our coastline. I often incorporate mixed media found from my beachcombing and am influenced by colour in the strata formed in crumbling cliffs. It is my intention to evoke the excitement on discovering these treasures rather than copying the natural formations themselves.